Fujifilm North America's Graphic Systems Division is set to exhibit its inkjet and pressroom solutions in Print 17 trade fair in Chicago, US. 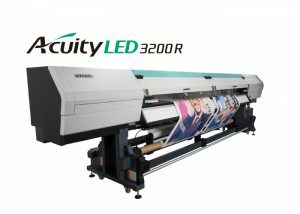 At booth number 2013, Fujifilm will demonstrate its new Acuity LED 3200R printer which is developed to produce high quality display and exhibition graphics. Another sheetfed digital UV inkjet printer OnsetM, a B1 format is designed to offer a high quality, short run solution. The B1 format OnsetM is a complete automatic system and acts as a solution or commercial printers, sign and display PSPs. Fujifilm is prepared to highlight its Superia ZD offset plate technology that offers superior performance when printing under UV ink conditions. Also Superia ZD allows extended run length in non-UV ink environments. Fujifilm Hunt premium fountain solutions, developed to use Superia plates technology efficiently including Superia PressMax JRDC-AB and Superia PressMax PPF-DC will also be exhibited at the stand. Superia PressMax JRDC-AB with an anti-binding agent is compatible with UV/LED – UV/H-UV or conventional inks. While the single-step Superia PressMax PPF-DC with calcium control additive is also suitable for UV/LED – UV/H-UV or conventional inks. FUJIFILM Dimatix Samba printheads will be showcased to explain the procedure of imprinting bars to reach up to 1200 dpi output quality managed at output speeds up to 1000 feet per minute on usual offset presses. XMF and ColorPath SYNC workflow will also be demonstrated that provides printers the flexibility and ease-of-use they need to increase their productivity, quality and efficiency. Image:Acuity LED 3200R Photo: Courtesy of © 2017 Fujifilm, Inc.